Dot and her mum go on an outing to the market, but in all the excitement, Dot accidently forgets her precious teddy on the train. A kind man at the station assures Dot that Teddy took the train to go on an exciting adventure. Dot's imagination runs wild with all the exciting activities Teddy may be getting up to. Luckily, Teddy finds his way home just in time to get tucked safely into bed. 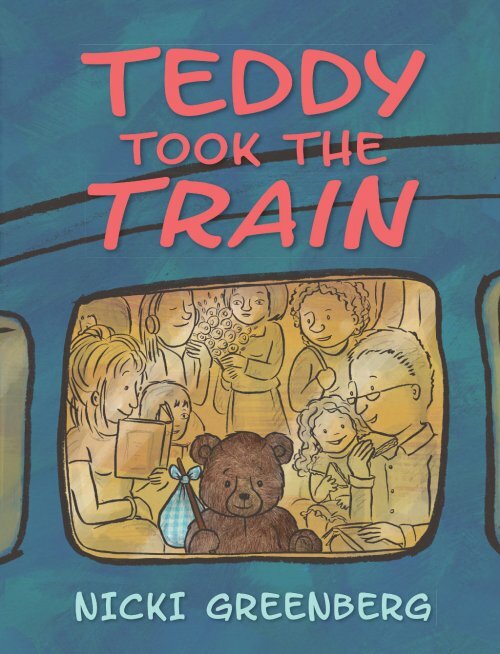 Teddy Took the Train is a heartwarming rhyming story about dealing with missing toys in an optimistic and courageous way. This book is for anyone who has gone through a similar situation of losing a beloved toy, or who just loves teddies and trains! Although not a central theme in the book, it’s wonderful to see physical disability showcased as a regular part of family life through Mum being in a wheelchair. The illustrations encourage the labelling of action verbs, as well as describing the many exciting scenes in the book. For further speech and language targets in Teddy Took the Train, see the list below.